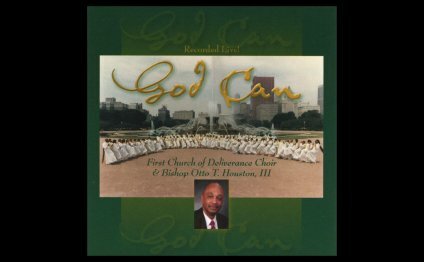 First Church of Deliverance's (FCD) Choir has been trailblazing a trail since the 40's. During the 70's and early 80's in Baltimore, MD, I listening to their broadcast over Chicago's 50, 000 watt radio station WCFL. I rarely missed a Sunday. That great choir would sing then Rev. C. H. Cobbs, and afterwards Rev. E. D. Gray, would share a special message. I would travel to Chicago for their choir anniversary. It's been too long since there first album "Surely the Lord Is In This Place, " about 16 years. However, I was elated when I heard they released a new album. They finally recorded "The Lord's Prayer." NO ONE sings it like FCD. This is a must buy album for gospel music lovers. There are far too few albums on the market featuring versatile choirs. FCD does it all. This album has the perfect mix of contemporary, new and traditional songs. FCD has raised the bar on how it’s supposed to be done. Later this summer, I plan to travel from California to Chicago to attend their anniversary. I can't wait until there next project. Please don't let it be another 16 years. Thanks FCD for a job well done!!! Continue blazing a trail towards perfection. This choir is awesome, First Church of Deliverance will never disappoint you with the presence of the Lord. I can remember the first album before itunes came alone. I love the song He's been Good, I wish Itunes would place that album on the site. However you won't be disappointed with this one.